Natural stones formed by the Earth are a popular choice for countertop options. Popular natural stone countertop options include Granite, Quartzite, Marble, and Soapstone. Learn more about the different types of natural stone options below. US Marble & Granite hand selects the highest quality materials from around the globe. We understand the investment you are making, and we will only use the highest quality materials in every stage of the process. We want you to be informed. We want you to be knowledgeable on what you are buying. We want our customers to know that we stand behind our quality. We want our customers to know they are getting the very best at USMG. Besides being durable and increasing the value of your home, Granite is one of the most elegant materials that can be used in your home. No matter what style or color you desire for your home, it is available with Granite. The colors range from whites to blacks and everything in between. There are many types of minerals in Granite. These minerals can resemble shiny flecks or longer veins with varying colors. Granite can spark up your home, increase the resale value of your home, and provide durability that lasts a lifetime. The charming characteristics that nature has built into Granite are unmatched. Granite provides you with a one of kind piece of stone found only in nature. Granite is a natural stone, you are able to bring nature into your home. From the Earth to the quarry, to US Marble & Granite's fabrication facility, to your home. Durability to last a lifetime. Granite can withstand a lot of wear and tear. Granite stone is water resistant with anti-bacterial and stain proof characteristics. Granite is also scratch and heat resistant. Clean with a damp cloth and use a small amount of soapy water. Avoid harsh chemicals such as ammonia, bleach or other heavy chemical based cleaners. From style to performance to its unique one of kind qualities, Granite is a beautiful and timeless addition to any home. The sealer we apply once we are finished with your installation is rated for 15 years. Granite Quarry. US Marble & Granite sources materials from around the globe. We hand select only the finest quality materials to be fabricated at our facility and installed into your home. Full Granite slab. This is a polished one of kind slab. Unique mineral flecks can produce amazing results. This slab also shows the truly unique veining that natural stone can provide. Soapstone is a natural stone, like granite, that is quarried from the Earth. Soapstone is composed mostly of mineral talc, which makes it quite soft. However, soapstone used for countertops typically has a higher percentages of quartz in it, which makes it a harder and a more suitable surface for countertop uses. Soapstone countertops are heat resistant. Soapstone countertops offer a unique natural and often textured countertop option for your project. Soapstone countertops are softer, therefore they can scratch easier compared to other natural stone countertop options. Soapstone countertops (like any stone surface countertop) adds value to your home. Soapstone is a metamorphic rock composed of mostly mineral talc. Soapstone countertops have gained popularity for their unique natural look and feel. 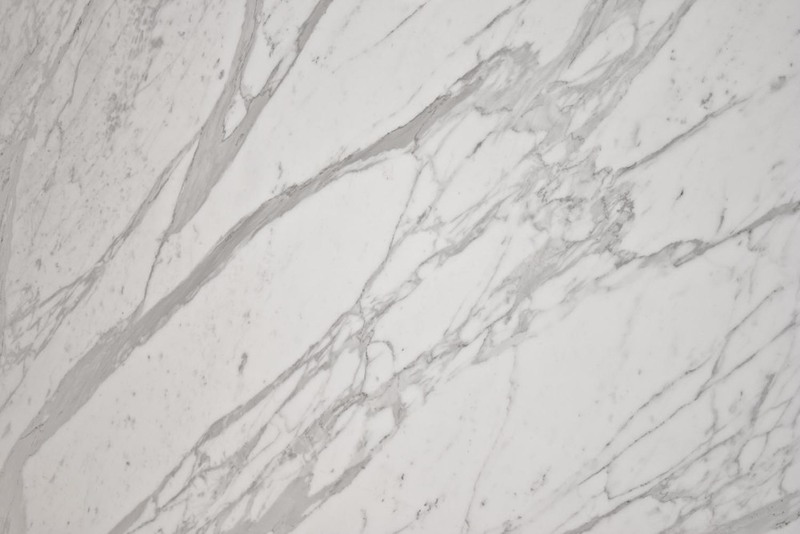 For beauty and elegance, Marble is unsurpassed. Marble has been used for centuries in construction as well as art. In fact, many ancient Greek buildings constructed from Marble are still standing today. Famous Italian artist Michelangelo used Marble in his sculptures. Marble comes in many different shades and colors. Some marble slabs can be mostly solid in color with slight variations of shades and hues. 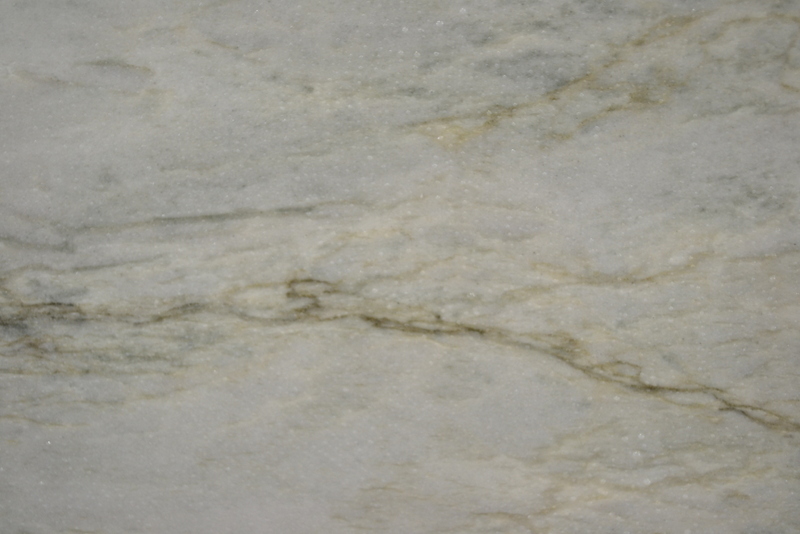 Other Marble slabs will have very unique with distinctive veining that ar thick and thin. (Veining is a streak of minerals that runs through the rock). Marble is resistant to heat. Fireplaces, vanity tops, and tables are all great areas to use this material. We generally wouldn't recommend polished marble for your kitchen. Honed marble on the other hand (no polish) has been a great choice for many customers over the past few years. Marble is a softer stone making it susceptible to scratching. Etching of the polished marble surface is also possible. Marble is naturally cool. Marble is not a heat conductor, making it a baker's favorite. US Marble & Granite will fabricate and install your Marble surface top sealed. We recommend using a slightly damp cloth and then dry soft towel when cleaning. Avoid bleach, acidic cleaners, or any abrasive household cleaners with your Marble. Marble is a classic timeless choice for many people. Marble is one of a kind. When considering a material, it is important to get what YOU like. Marble Quarry in Greece. 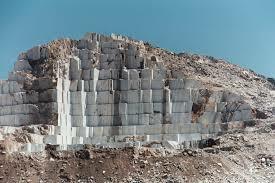 Notable for the white or blue-grey marble quarried there. Marble is a metamorphic stone formed from limestone under heat and pressure over many years in the Earth's crust. Quartzite is a natural stone that often gets confused with Quartz (man-made). Quartzite is metamorphic (altered by heat/pressure beneath the Earth) rock that was originally Sandstone. Quartzite is an extremely hard surface. The Mohs test, which measures a materials hardness, classifies Quartzite as an 8/10 which makes it harder than glass and can actually cut it. Extremely popular due to its marble like appearance. Impurities in the stone result in beautiful patterns and incredible colors. Quartzite mining in the United States can be found in Idaho, New York, Wisconsin, Pennsylvania, Minnesota, Montana, Arizona, and South Dakota. One of the hardest stones in the world. As with ALL materials at US Marble & Granite, choose what material you like the best! 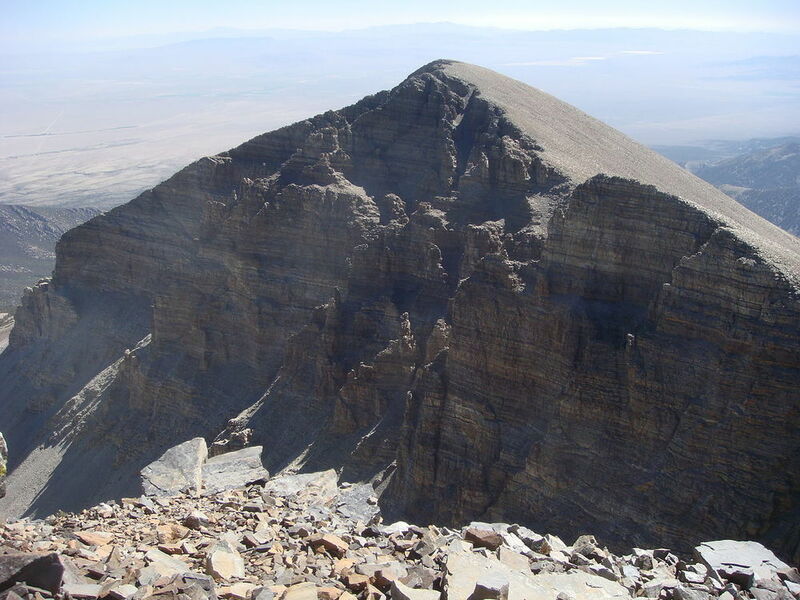 Quartzite on Prospect Mountain Formation on top of Wheeler Peak, the highest peak within Nevada, United States. Quartzite is a very hard metamorphic rock that originated as sandstone. Through a process of high heating and pressurization sandstone is transformed into Quartzite, an extremely strong and durable natural stone.